My sister and her husband is in Riyadh while 2 of her kids are here in Pinas studying in college. My sis is working in a hospital and from time to time they also get to go back home for a vacation. 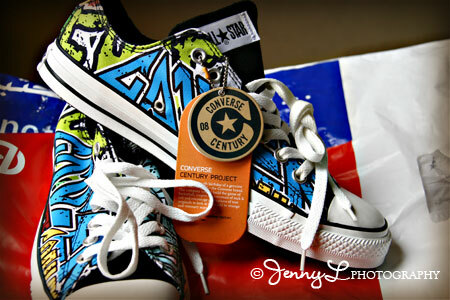 She never fails to send something for her kids like this trendy Converse rubber shoes for her oldest son. I am sure he will love this.